Excerpt: The following is an autobiography of a budget-diary. The narrative highlights the unique similarities drawn between the master and his diary. The year was 1988, 27 years from now that is when I first landed here and have lived on ever since. I am now shelved at one corner of this lonely house or shall I call it vacated. But it wasn’t always this way. The two elderly inmates of this abode have passed away and now I remain as the lone old-timer painstakingly doing my job. By job I mean looking after the apartment which was once my home. I am an exclusive brought out as an annual edition by master’s hospital. He worked as the head pharmacist there. My master collected us to keep accounts. You could say that my exclusivity was retained when I made it through and my mates couldn’t. I am constantly using master not out of duty but out of our unnoticed similarity. He and I were cut out of the same paper. My page alignment reflected his meticulousness. My leather black cover, his disliking for colour was another significant character shared by us. My single ruled lines were always filled with measured letters, never less or more. Our idea of accuracy was precise, hardly leaving room for any error. Our bond was strengthen by the way he personalised me when h found it hard to personalise most things close to him. The journey was a relentless one bringing in new experiences and endeavours. The embittering struggles that somehow continued for his lifetime. I guess that is what made his determination so firm. I know that shouldn’t be an excuse to defend a conventional and staunch man. The stern believer wasn’t really a mechanical man; he had his share of vulnerabilities and palpable tenderness, take it from a faithful subjects. My fellow companions found it hard to believe too. Discipline is my virtue was quite difficult to digest for them. Well we don’t have a stomach so you can well make out the level of indigestion. Speaking of the man he was never satisfied though he lead a peaceful life. I can relate to that; I was not chosen for the commercial pile , they placed me in the souvenir stack instead. So I spend my entire life what if I was on the other side. He and I were both denied the freedom of choice or were we? That dilemma always stood out. He was married of to this wonderful woman who was not his preference. His wife couldn’t conceive because of his impotency and he never had a complete grip over his adopted daughter. His elder brother and his wife died in solitude but then again he was helpless. He was not a fan of opulence neither a favourer of abject simplicity. When his hard earned house faced a feud he decided to sell it. Thus escaping a long legal battle; wasn’t really a fighting type. I have had times when I didn’t quite make an attempt to change things believing it was all in vain. Be it not supporting a friend while dying or not questioning someone when my pages were torn by them. I regret my own behaviour on all those occasions. Sometimes we felt it was our duty to walk on the line of linearity without fumbling. Quite a task, right! He had a life long indifference with his nephew. He frowned over his nephew’s audacity but somewhere loathed his own moral standing. He could never be the nonchalant, rebellious, aimless tramp like his nephew. 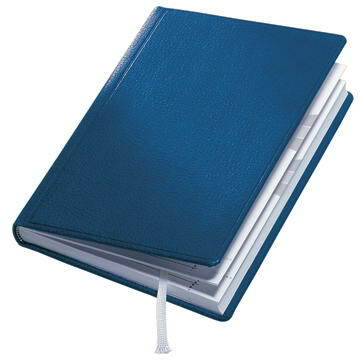 I myself had at times felt I could have been I round-wired notepad or scrapbook that found much favour with the buyer. Time passed on and now my book cover is tainted and my pages have grown yellow in colour. A far cry from the way he kept me. But I am a hard soul so I survived and he couldn’t. He died in solitude suffering from a liver disease he had helped many patients recover from. The silver lining though was that his daughter and grand children rose to the occasion to help him cope better. They even changed my position to save my remaining self from rat invasion. Rest in peace master, as I adorn your cupboard to guard your precious home. Amen!